Fight Prohibition With A New Dish Shirt! So we figured as we put out our first round of Dish merch that, every now and again, we might offer a special message t-shirt, if the moment was right. And with less than a month to go before seismic votes on legal cannabis in Oregon, Alaska and my home-town of DC, why not create a t-shirt for legalization for Dishheads – especially those of you who enjoy our daily 4.20 pm Mental Health Breaks and those who choose to subscribe at $4.20 a month (for some reason). Legal cannabis has been a cause here since 2000, and, along with marriage equality and the Obama candidacy, has been easily the most successful. But we’re not there yet – so try these on for size. Buy the standard “Know Dope” t-shirt here. Buy the DC one here. All you Oregonians out there, get your version here. Alaskans, yours is here. All of the shirts are just $20. And all of them help us keep this blog able to pay its way as well. So if you just want to help us out, and take a stand for personal freedom and drug sanity, you know what to do. A big thanks to the t-shirt’s designer, Dave Stenken (aka BiggStankDogg), whose other work you can peruse at TeePublic or his Facebook page. And another thanks to our BustedTees guy, Jerzy Shustin, for helping us launch our latest merch (our regular Dish t-shirts are still always available here). 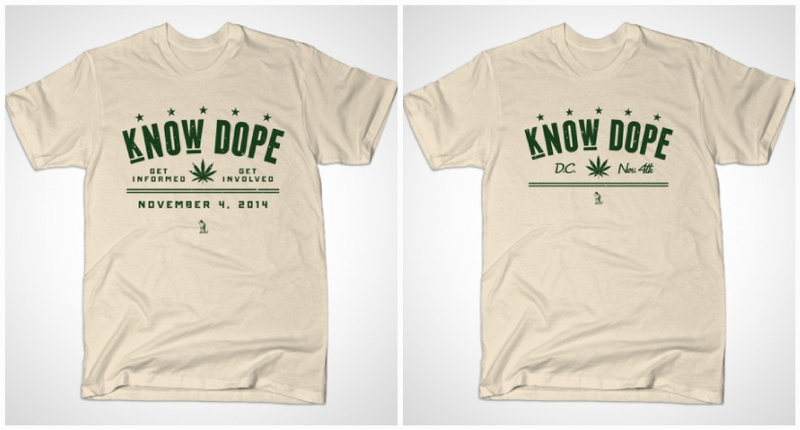 If you end up getting a “Know Dope” tee, email us a pic at dish@andrewsullivan.com.